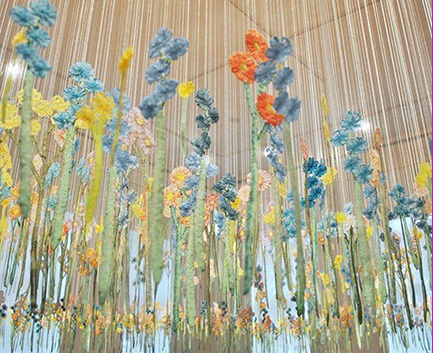 Amanda McCavour, the acclaimed fiber artist who installed Floating Garden on view as part of the Flora exhibition, will be in Delray Beach from Toronto to speak about her artwork! Come have a drink and be inspired by this talented fiber artist! $15.00 admission, wine and light bites included! Free for members of Old School Square! Not a member? JOIN NOW!